Singapore Democratic Party (SDP) has written to the Prime Minister’s office to leave Bukit Panjang as a Single Member Constituency in the next General Elections (GE). 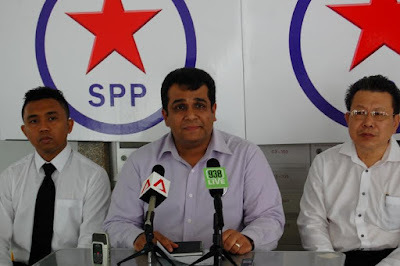 SDP claims on its website that the party has been visiting the constituency for years and has intensified their work there since the last GE in 2006. It is quite obvious that SDP and PAP have taken polar positions on the issue of the wet market takeover and the subsequent wet market stalls rental hikes by Sheng Siong Supermarket in Bukit Panjang. Dr Teo Ho Pin the current elected Member of Parliament (MP) of Bukit Panjang constituency has maintained that “market forces should determine the rental (hike of 30% by Sheng Siong)”. Whereas, the SDP has said that market forces cannot determine the market stall rentals because Bukit Panjang has got only one wet market and without another wet market to offer competition to Sheng Siong, there can be no market forces at play in this issue. The governing party of Singapore has often alleged that Singaporeans have “repeatedly rejected Dr Chee, his politics and his party”, while the SDP blames its electoral defeats on the political system of Singapore, which is in a dire need of democratic reform. If the Bukit Panjang SMC is left intact as it currently is, it will not only be an opportunity for the voters there to decide to support or reject the current MP and his performance, but it will also be a perfect opportunity for the current government to bring home its point (if SDP loses) that Singaporeans have indeed rejected the SDP. And if the SDP won, it would also be to the advantage of the PAP for then, they could slam home the message that the political system is fine and needs no drastic reforms as claimed by the SDP. But of most advantage to the PAP, would be its ability to tell the rest of the electorate at the next GE that it is not afraid of a fair fight. The Prime Minister should instruct the Elections Department of Singapore, which comes under his purview to seriously consider the request of the SDP to leave Bukit Panjang Single Member Constituency as it currently is, as the Elections Department redraws the electoral divisions for the next GE.